Central Valley Timing is a chip timing and event management company based in Fresno, CA. We provide services before, during and post-event. These range from online registration setup, bib/packet preparation, packet pickup, chip timing, bib and results lookup. 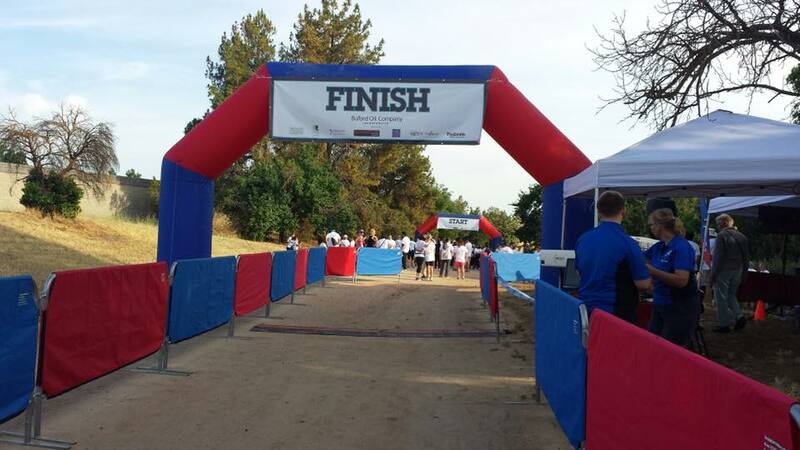 Included with chip timing services, we provide a blow-up arch, sound system with microphone, online results, and a results kiosk with a printed race receipt for the participants. We can also supply tents, tables, and igloos for registration booths, medical tent, and aid stations. We have the staff and equipment to cover several small races on the same day, or a larger event with separate start, finish and split points. Our warehouse is located in Fresno, CA and services the Bakersfield, Visalia, Lemoore, Fresno, Clovis, Madera, Merced, Modesto. Located in Central California, we are only a few hours from the Central Coast and can cover SLO, Pismo, Paso Robles, Morro Bay, and Monterey. With staff located in Oceanside, we can cover chip timing in Southern California from San Diego to Los Angeles and Santa Barbara. We have also chip timed events in the Bay Area, Sacramento, and Napa. We utilize state-of-the-art RFID chip timing systems created by RM Timing Systems. With our system's features and software constantly updated, we have the capability to apply many types of chips that will cater to your event, including those that attach to bibs, bicycle frames, shoes, or even an ankle straps for multi-sport events. In addition, we are able to provide the race organizers with helpful reports during and after the race. RM Timing equipment is used to chip time some of the largest events in the nation, including those put on by the Big Sur International Marathon, Run Long Beach, Dana Point Turkey Trot, the San Francisco 49ers, and many more. If you would like any references regarding our quality of work, please don't hesitate to shoot us a message, and we'll get you in contact with some our current clients. How does RM Timing Systems stack up to the competition?